With one lab suspended and its replacement unfinished, Brazil won't be able to handle drug testing for the 2014 World Cup alone and is looking overseas for help. 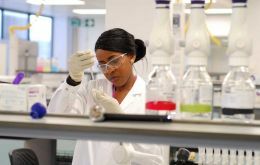 The executive director of the country's anti-doping authority said the new lab in Rio de Janeiro should be running a year before the 2016 Olympics. But, Marco Aurelio Klein added, the lab won't be ready for the World Cup next June and July. Europe’s 54 soccer nations are prepared to support moving the 2022 Qatar World Cup from the summer heat to playing in January. 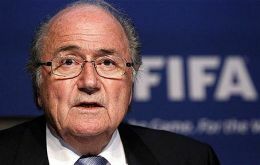 Allegedly European soccer leaders gave UEFA President Michel Platini a mandate for change on Wednesday. 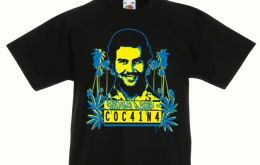 Colombia’s government has refused registration as a trademark of the full name “Pablo Emilio Escobar Gaviria” the country most notorious narcotics criminal. According to local news in Bogotá the application was filed by Maria Isabel Santos Cabalerro, Juana Manuela Marroquín Santos and Juan Sebastian Marroquín Santos, Escobar’s widow and children respectively who changed their names after settling in Argentina in the late 1990. Thomas Bach was elected president of the International Olympic Committee (IOC). The German became only the ninth president in the body's 119-year history after succeeding Belgium's Jacques Rogge who stepped down after 12 years at the helm. 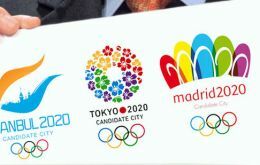 The Spanish delegation arrived in Buenos Aires as favourites to host the 2020 Olympics in Madrid. They had top credentials: the future King (Prince Felipe) himself a sports enthusiast; the least demanding and irritating budget, (based on Brazil’s ongoing experience) and ample public opinion support in Spain despite the economic situation and record unemployment. Tokyo was awarded the 2020 Olympics on Saturday, capitalizing on its reputation as a safe pair of hands and defying concerns about the Fukushima nuclear crisis. Tokyo defeated Istanbul 60-36 in the final round of secret voting Saturday by the International Olympic Committee. Madrid was eliminated earlier after an initial tie with Istanbul. From the Fukushima nuclear leak to the war in Syria to Europe's economic crisis, the choice of the host city for the 2020 Olympics is fraught with risks. 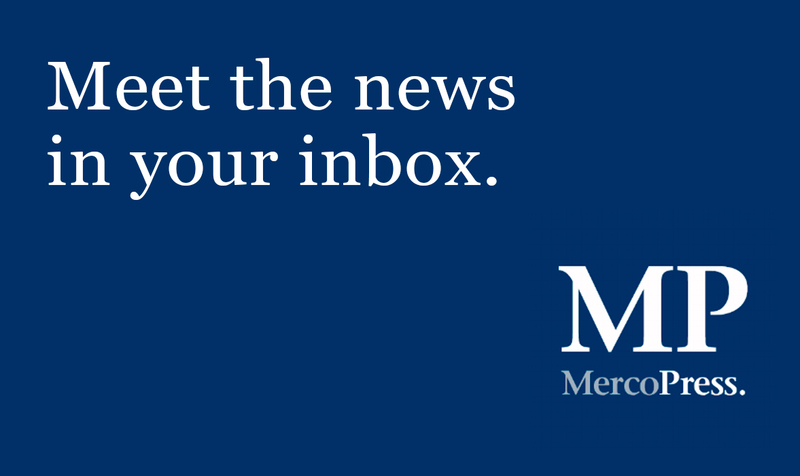 Picking the site with the least risks shapes up as the challenge for the International Olympic Committee on Saturday in a tight three-city contest that members say is too close to call. Debt-struck Madrid is betting its penny-pinching bid to host the Olympics in 2020 will reap rich economic dividends for recession-hit Spain. The Spanish capital is banking on a low-cost 5 billion dollars Olympic bid that relies heavily on existing stadiums to surprise Tokyo and Istanbul when Olympic chiefs make their decision in Buenos Aires on Saturday. 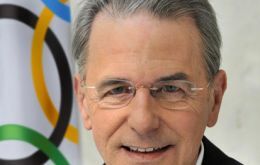 International Olympic Committee President Jacques Rogge said his organization and future games hosts must overcome the challenge of convincing the wider public about the benefits of staging sports’ biggest event. Malvinas veteran Omar de Felippe who was part of the defence ring organized by the invading Argentine military to defend occupied Port Stanley in 1982, has been named coach of Independiente, the ‘red devils’ one of the five most popular soccer teams in Argentina, which after a streak of losing games was condemned to a lower league.